Summer fun and electronics; can there be a happy medium? I can tell the summer-is-here excitement is already building for my kids. The sweet smell of freedom is in the air as they wait with baited breath for that last bell of the school year to ring. In my house, long, lazy summer days await my kids, as summer for us always includes some much needed down time for everyone. But how lazy should they really be? My memories of lazy summer days include playing outside, riding bikes, exploring our nearby forests and sitting on the curb sharing good laughs with friends. This was back in the day when the only screen at our house was a TV and to us there was never really anything good on it except for Saturday morning cartoons. Nowadays, our kids are surrounded by screens and gadgets everywhere, including smart phones, tablets, desktop computers, laptops, TVs, PVRs, streaming movies and gaming systems – just to name a few! I get it, I know these enticing gadgets are an important social connection for my kids, it’s the main way they chat with their friends. But there must be a happy medium, right? So how do we help our kids balance creative, physical, summer play outdoors with their desire to be on their devices? For me, it’s always been a hard decision and a balancing act. Sometimes I’m just too tired to battle with the kids over turning off their screens, and to be completely honest, allowing the kids more gadget-time sometimes helps me get my own things done. Yes, guilty as charged! But then I also sometimes get annoyed with all of their screen time, especially as they get older, so for me it’s a love/hate relationship. I know they want to spent time on their devices, but I also know that limiting screen time is key to healthy development and staying active. Make family screen time rules and set limits. Now stick with it! Just an FYI – most experts recommend no more than two hours per day of screen time. Help your kids to understand why they should limit their screen time. 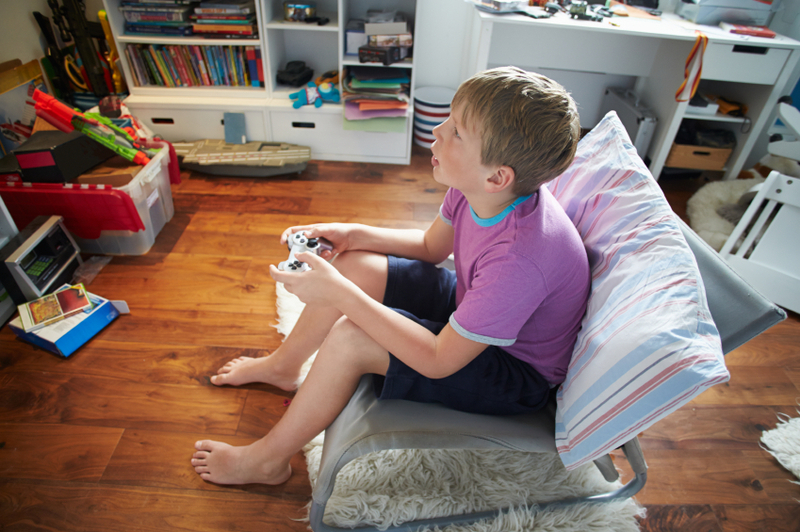 Kids that understand the risks of too much screen time are more likely to follow the rules. Make sure they understand that less screen time is not a punishment and is good for their health. Set expectations for other activities, such as reading, making crafts and doing family chores. In our house, the kids must read at least 30 minutes every day and have a list of daily chores – not a huge list, but a few things they must do most days. Send them outside to play. Yup, just send them outside, no pre-planning. Some of our kids have lost the ability to spontaneous play. 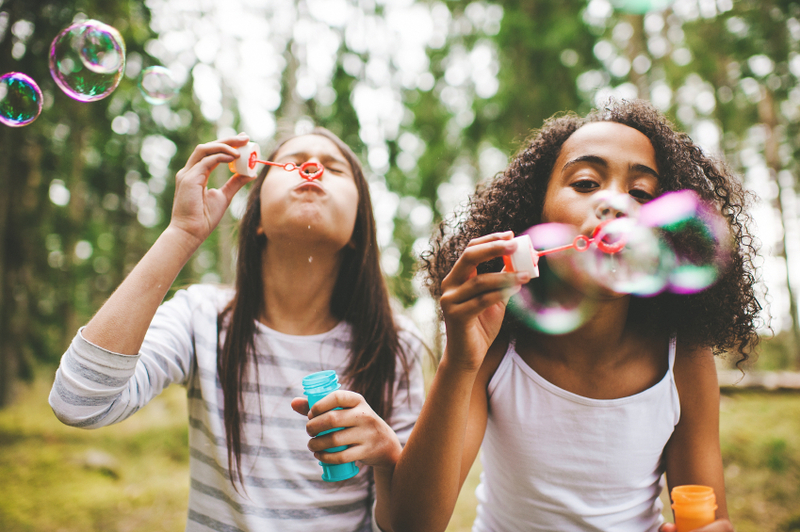 It’s a learned skill; help them find their ability to enjoy unstructured, outdoor play by coming up with a list of active indoor and outdoor games or activities. Be a good role model by limiting your own screen time, especially at the dinner table. Go outside and enjoy summertime too! I still love to ride my bike. Unplug for a day. Designate one day per week or month as a screen-free day for the whole family. I haven’t tried this one yet; I’ll be testing it out this summer. Encourage participation in sports, clubs, music, volunteer activities, something other than electronics. This entry was posted in Children & Tweens, Emotional Well-Being & Mental Health for Your Child/Tween, Emotional Well-Being & Mental Health for Your Teen, Parenting, Parenting Your Child/Tween, Parenting Your Teen, Teens and tagged active play, fun, kids, limiting screen time, Mental Health, outdoor, outdoor play, physical activity, Physical Health, screen time, summer, summer and screen time, teens. Bookmark the permalink. 2 Responses to Summer fun and electronics; can there be a happy medium?